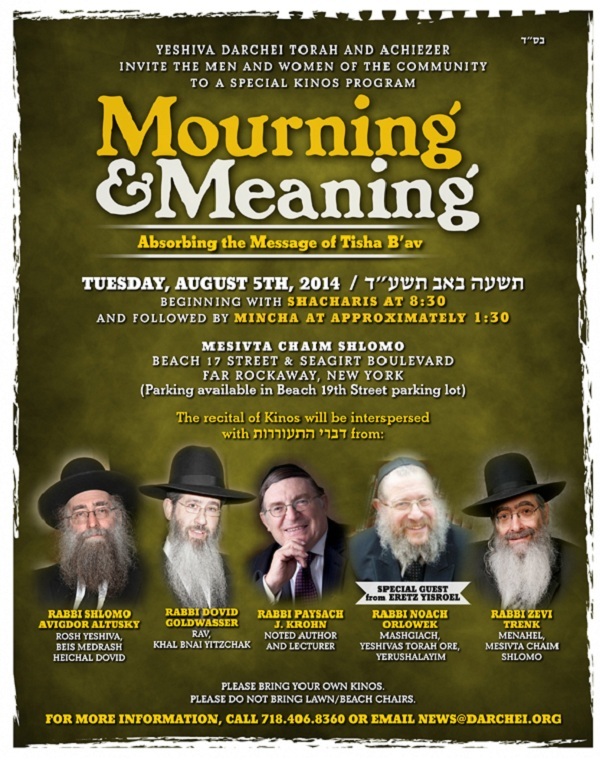 Achiezer and Yeshiva Darchei Torah invite the men and women of the community to a special Kinos program. Please bring your own Kinos. Please do not bring lawn/beach chairs.